Hello everyone! 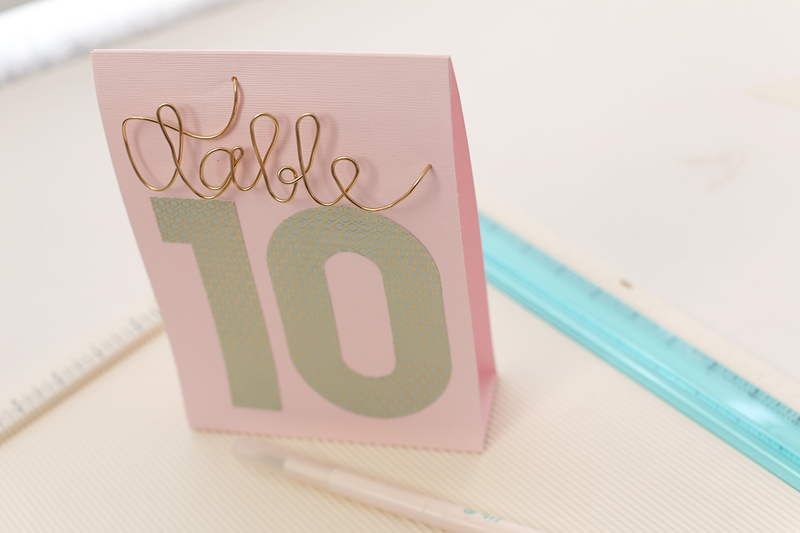 It’s Eva on the blog today sharing with you a wedding table decoration made with the Happy Jig and that can be used for any party. 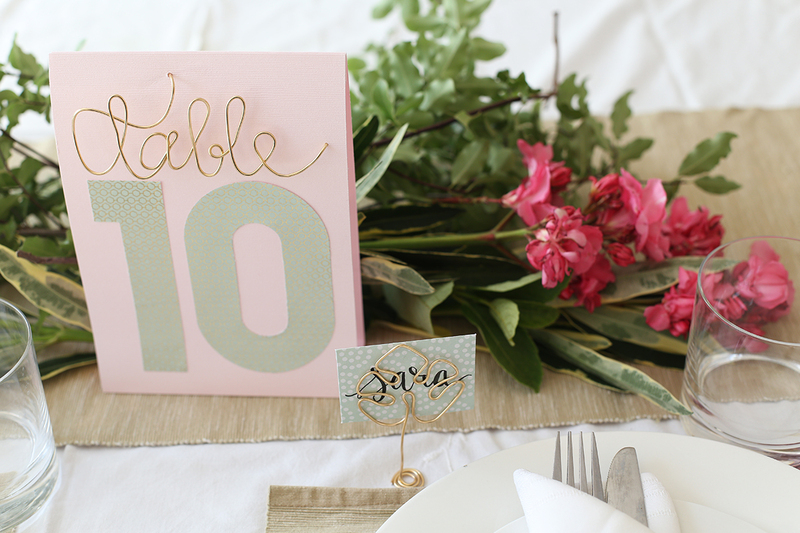 For this assignment I decided to make place holders and a table number sign, I used the lovely papers from the Journaling stack from DCWV, the colors and prints are perfect for a wedding! 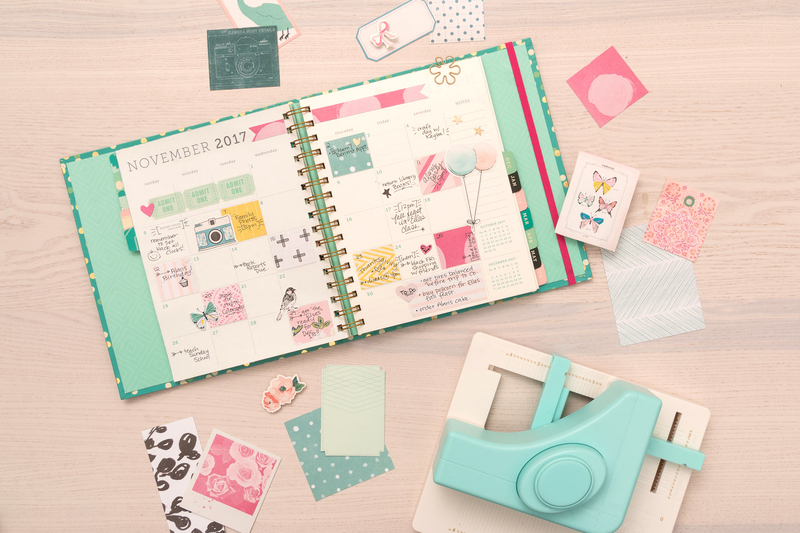 To make the place holder choose your favorite image from the Happy Jig catalog (or one of the many designs you can find on their Instagram account @werhappyjig) leave 5 or 6 extra inches in the beginning and create your form. Cut the wire and use the extra wire to make a circular base. 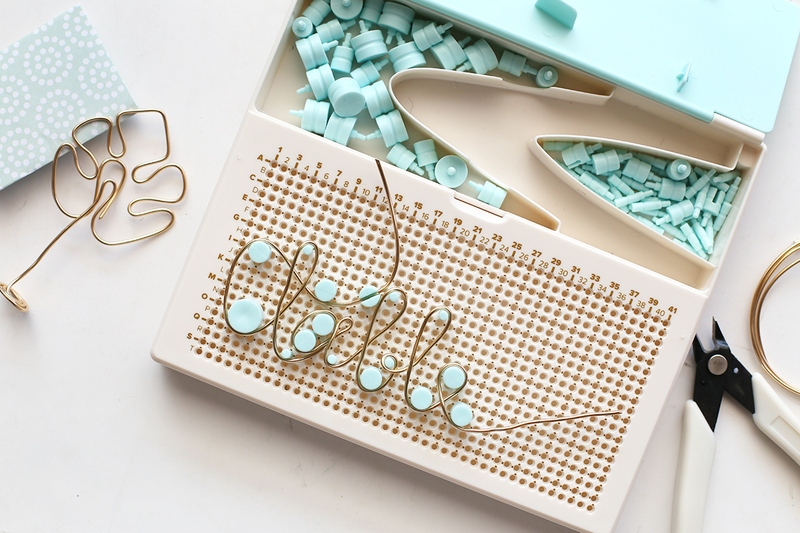 Use your Mini Envelope Punch Board to make 2 x 2 ¾ inch envelopes and place them on your wire design. Write the name of the receiver on the back of the envelope. Inside the envelope you can include a thank you note, a picture or a small gift! Use your Trim and Score Board to make the sign. Mine was 5 ¾ inches wide and 8 ¼ inches tall. I wanted my Table word to stand up on the sign so I attached it by making two holes with my Sticky Piercer. To make the numbers I used the Journaling Stack by DCWV and my Alphabet Punch Board. 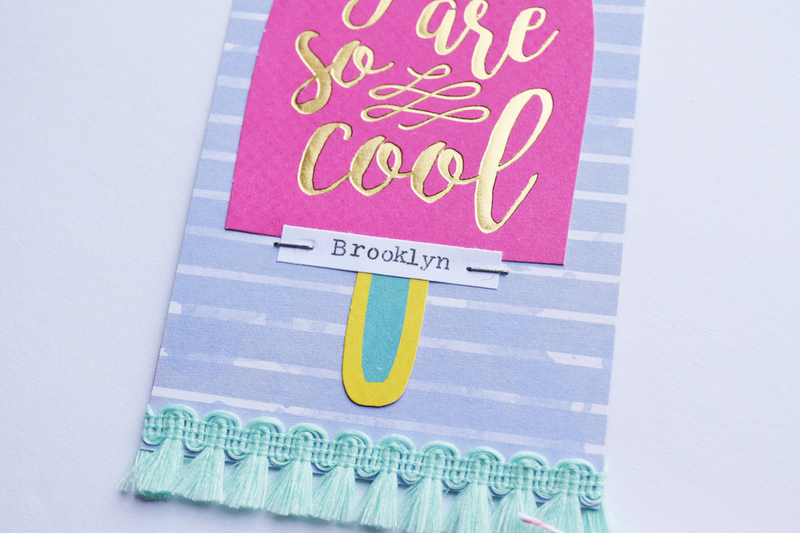 I love the foil details on these papers! And here’s how my sign turned out. I really like the paper and wire combo. Small details really make a difference in a ceremony. The Happy Jig wires come in a variety of colors therefore your decorations will always look amazing! Happy Monday! 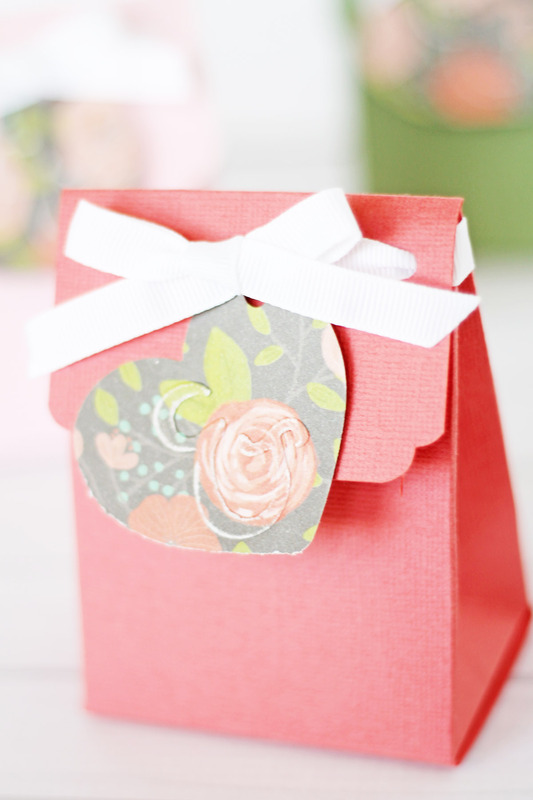 Laura here today to share with you how to create your own wedding favor boxes. 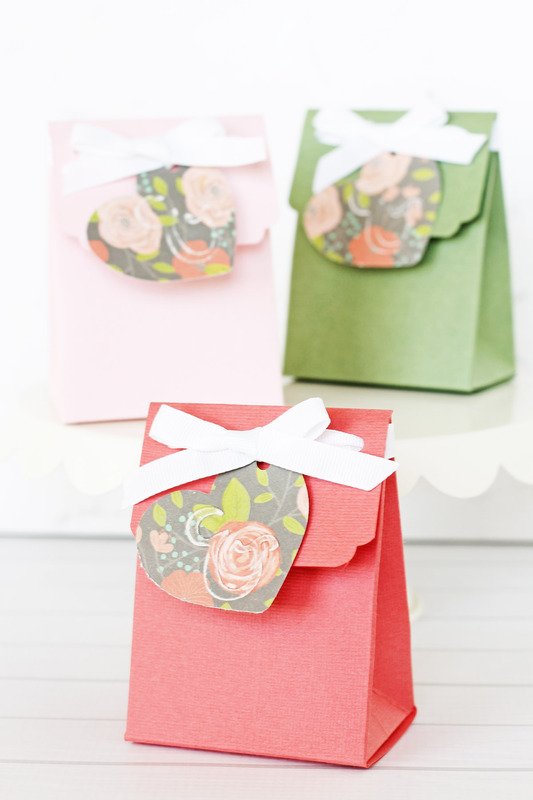 These boxes can be easily customized to match your wedding colors. You can create them for a fraction of the cost of buying them premade. 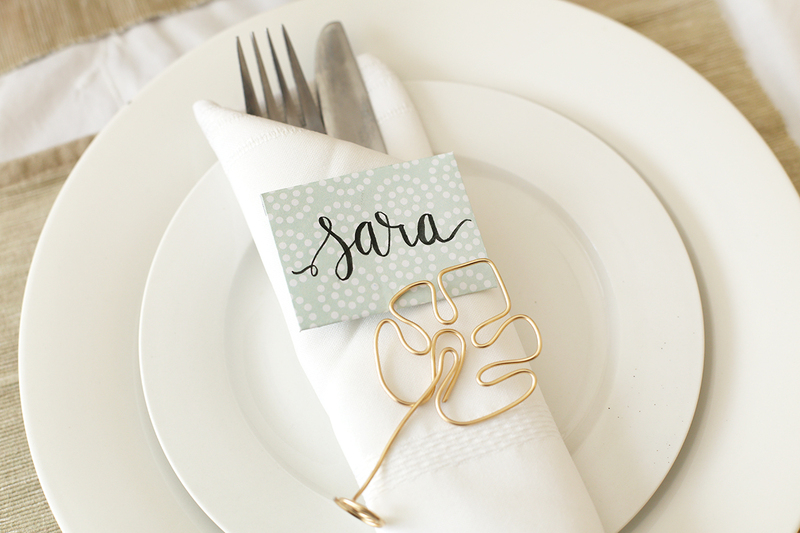 Plus, you can personalize them with any sentiment that fits your wedding theme! 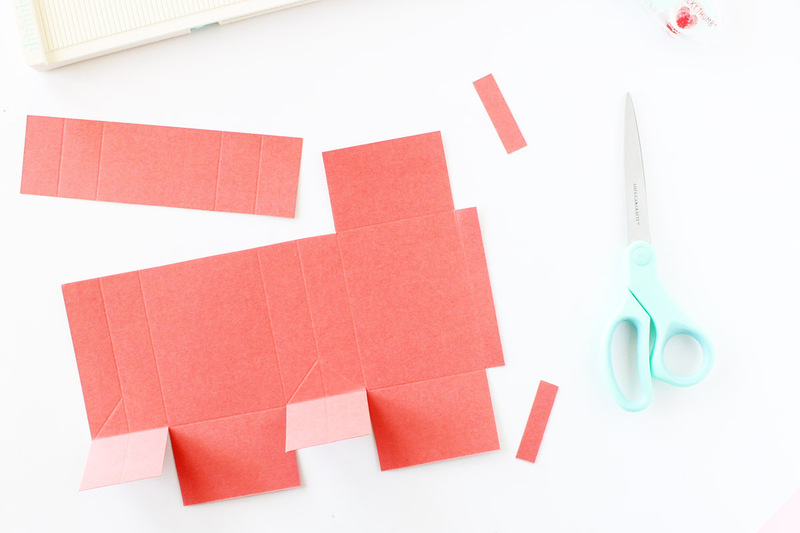 Start by cutting your cardstock to 10 ½ x 8 inches. Align the longer edge to the top of the score board. Score the paper at 1, 2, 5, 6, 7, and 10 inches. Rotate the paper 90 degrees and score at 2 and 6 inches. 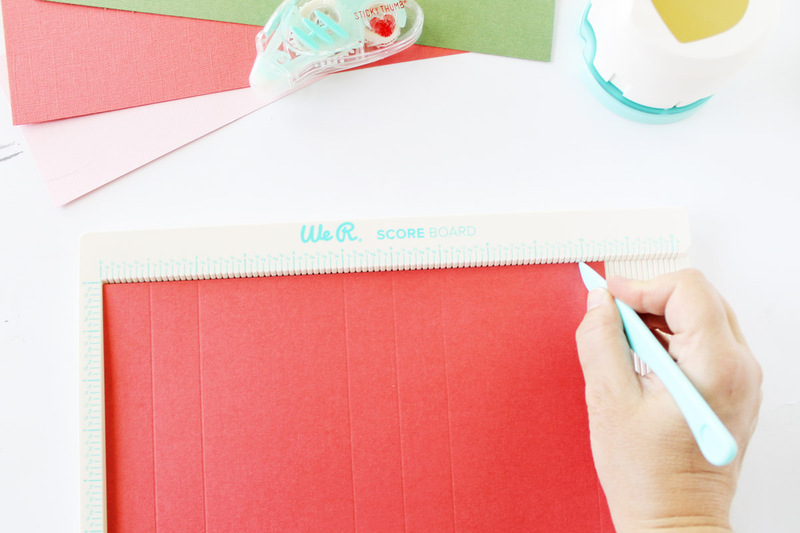 Use the score guide to line up one edge of your paper at an angle. Score an angled line coming down from each of the one-inch sections. Score the lines on one side, flip the paper over and do the other side, so you end up with two triangle shaped score lines at the bottom of the sides of the box. You can see where to score the paper in the image below. Cut off the pieces shown below using your scissors. You will trim off the top and bottom sections where you scored the half inch line. You will also cut off along the top score line, leaving only a 3 inch by 2-inch rectangle. Then, cut along the two-inch, 5 inch, and 7-inch score lines, just to the bottom horizontal line. 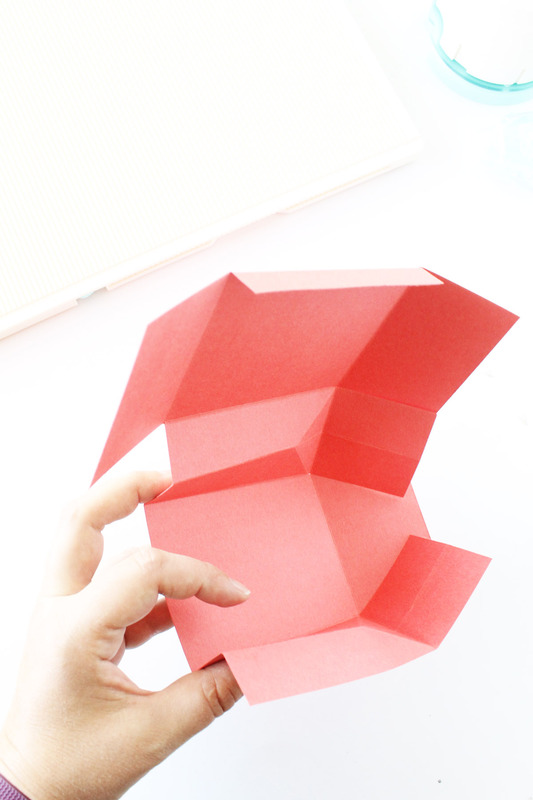 Fold along all the score lines and assemble your box using double sided adhesive, leaving the top flap open. 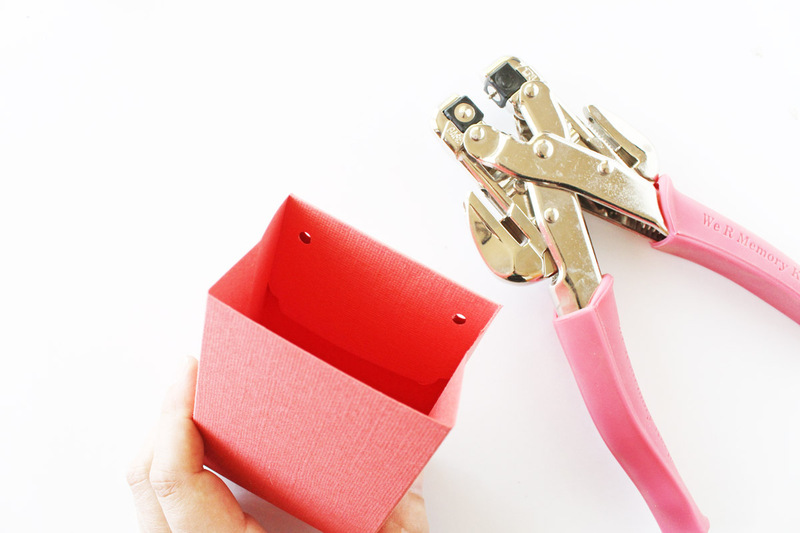 Use the Corner Chomper scallop edge punch to punch each corner of the top flap. 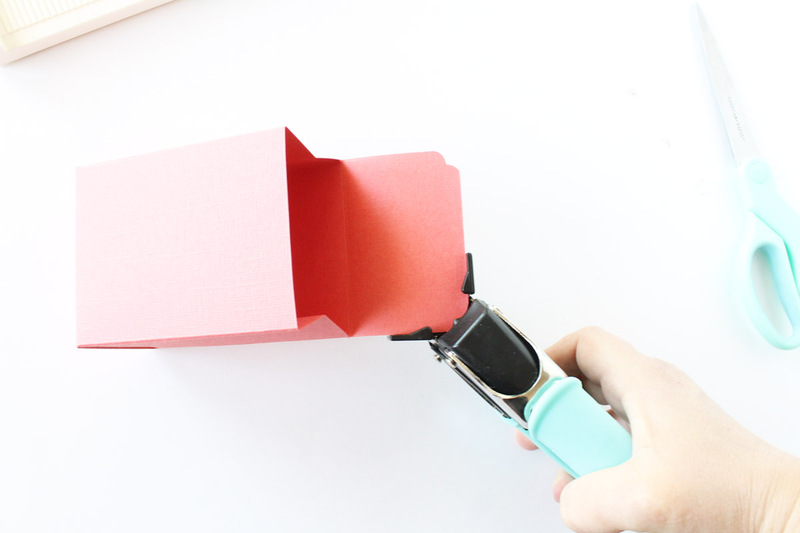 Fold the top flap into the inside of the box and use the Crop-A-Dile to punch two holes close to the each edge of the box. 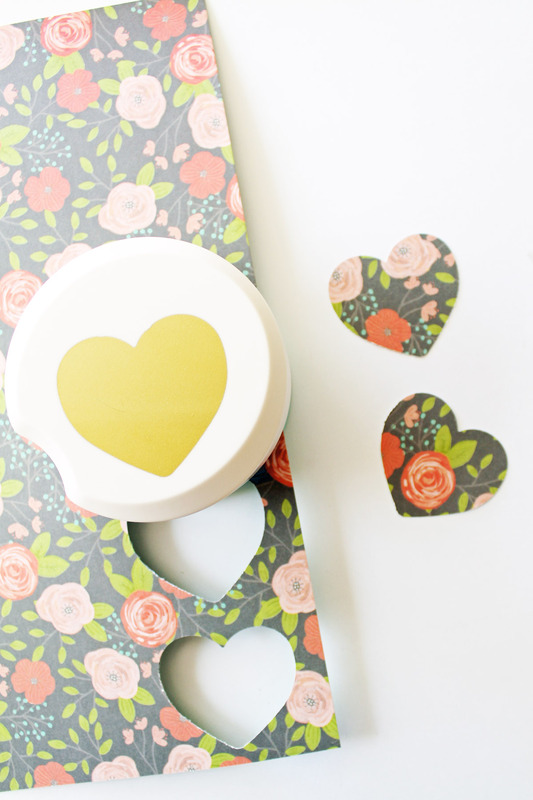 Create a heart shaped embellishment using patterned paper and the clear cut heart punch. 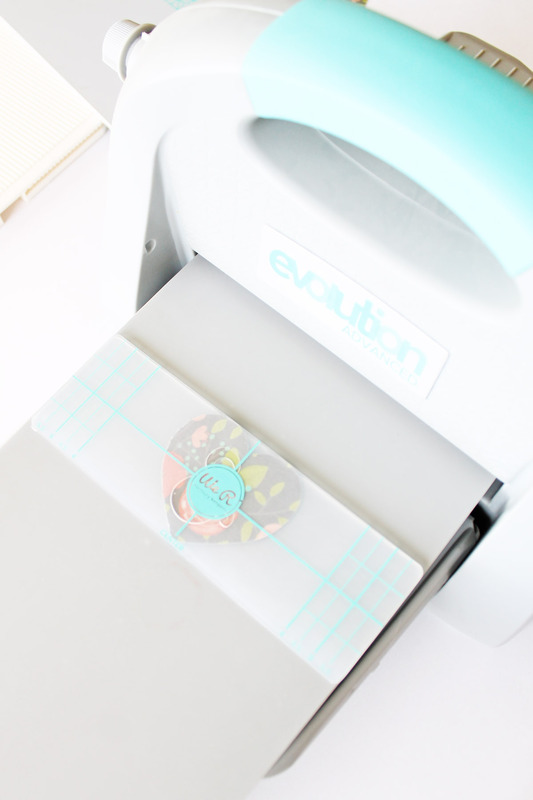 Use the ampersand from the Rise & Shine embossing folders to emboss the shape onto the heart using the Evolution Advanced. I used a sanding block to distress the edges of the embossed “&” to make it stand out a little more. 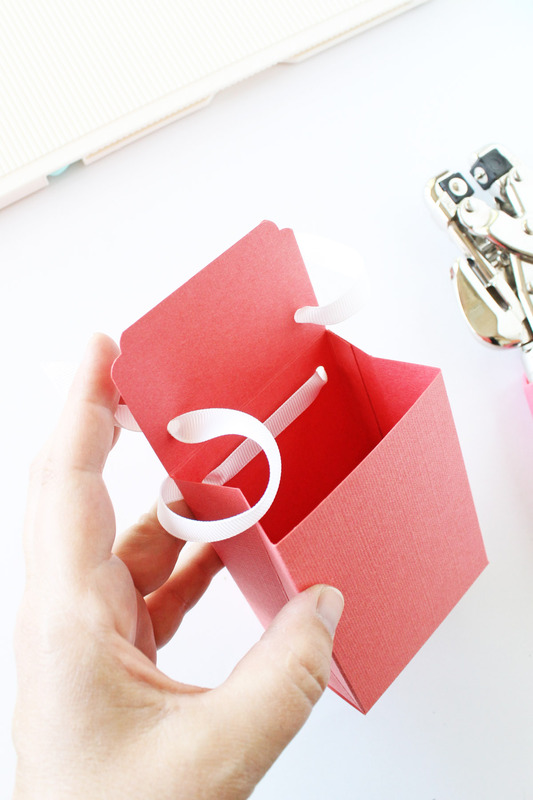 Thread ribbon out through the holes in the back of the box and then in through the front flap holes. Attach the heart shape and tie the ribbon in a bow. 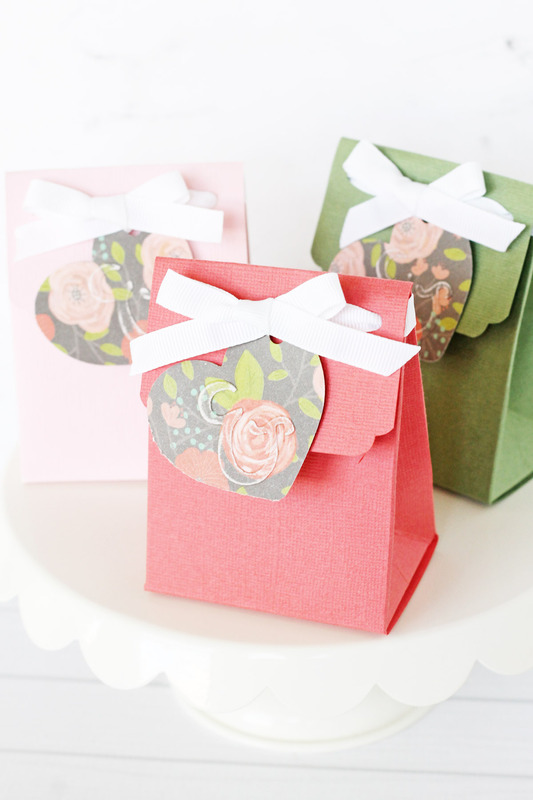 You can create these boxes in any color or design that fits your wedding theme. You can choose a different embossed accent for the heart shape or even add your monogram or names to the front of the bags using a stamp or a sticker. Then simply fill the bag with the treat of your choice. 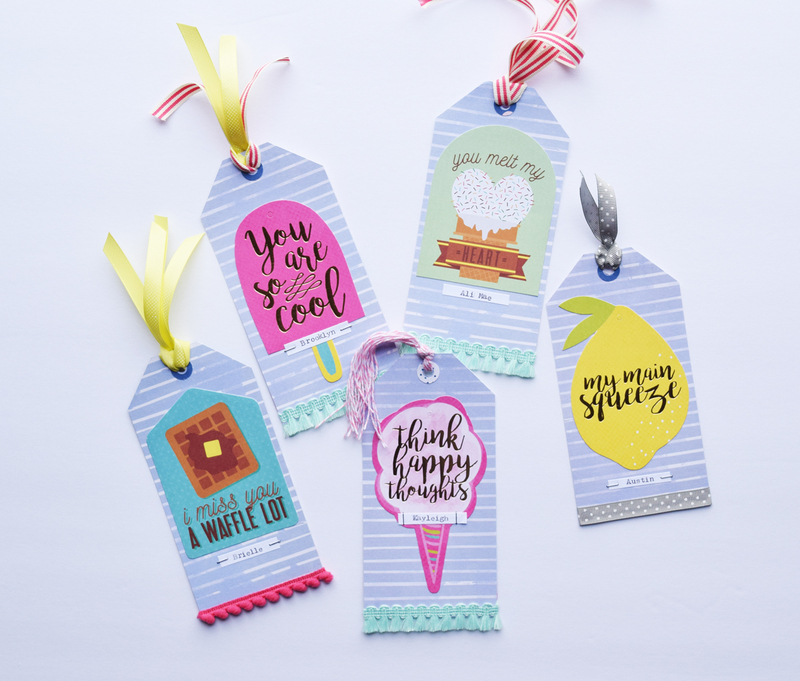 Hey there, We R Memory Keepers friends and fans, Becki here to share some fun and EASY tag bookmarks with you. 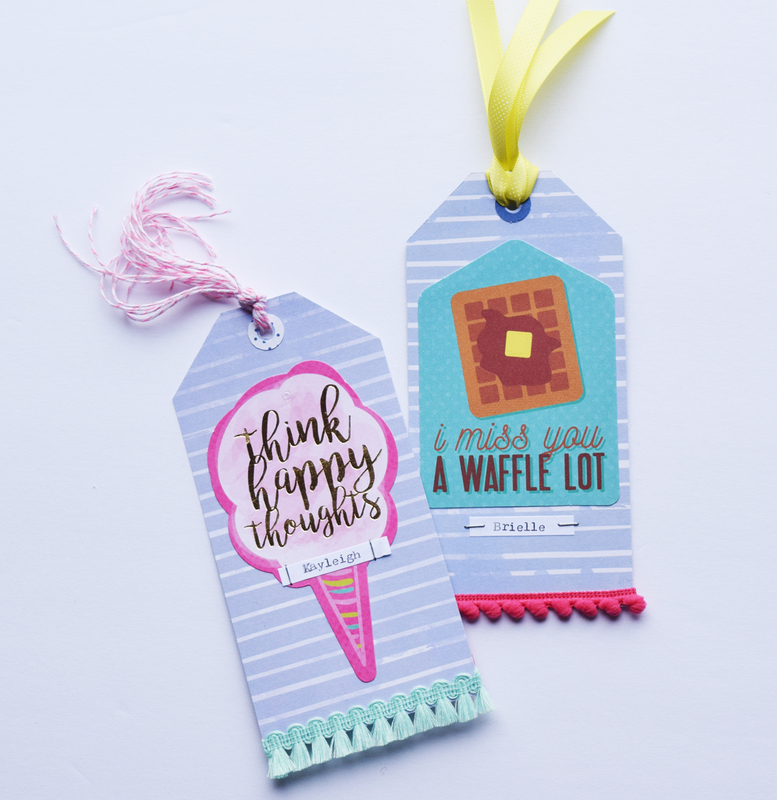 Of course, I created these bookmarks with a few of my favorite We R Memory Keepers tools that you can find at JoAnn’s stores. I have a LOT of nieces who love to read. They all love bookmarks too! I sat down with a few We R Memory Keepers tools, the Tag Pad from DCWV and within a few minutes I had several bookmarks to share with my nieces. 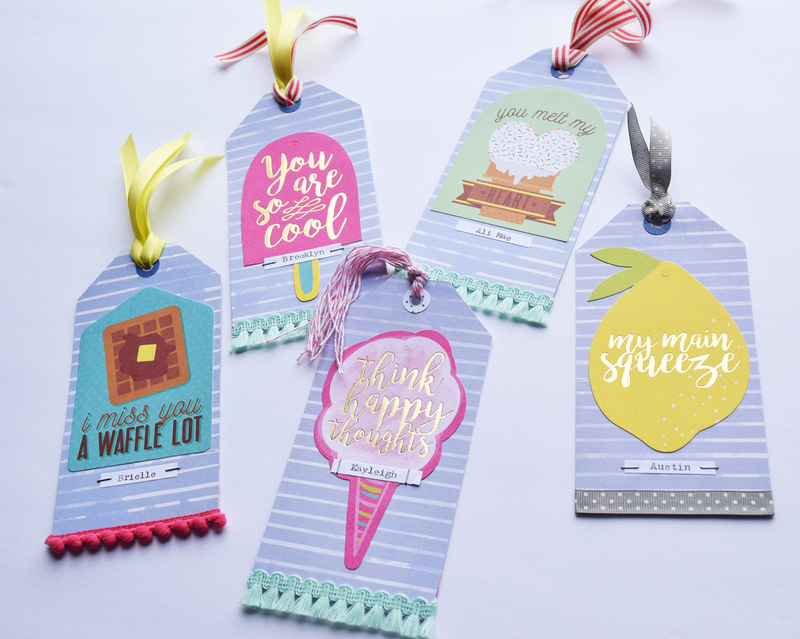 I loved playing with the Tag Stack from DCWV they have so many versatile patterns within on paper pad. 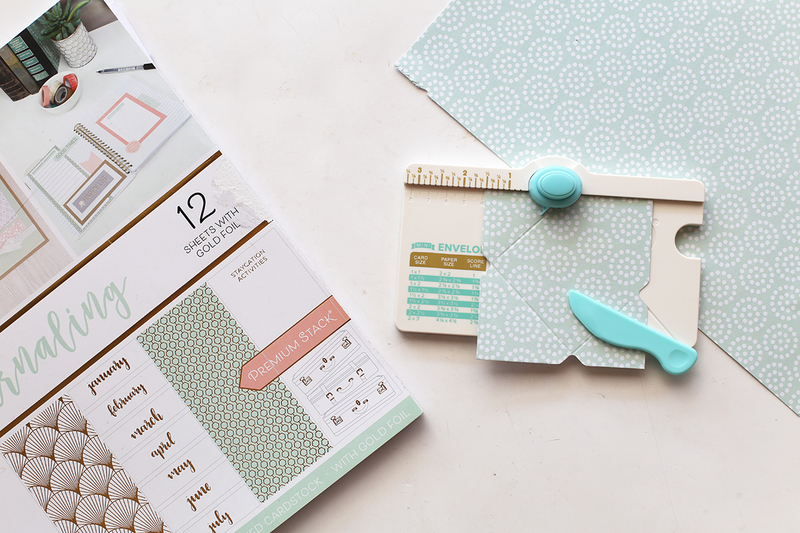 There are so many cute designs that you can punch right out of the papers. There are also double sided patterned papers. That’s what I used to create the base of the bookmarks. The two We R Memory Keepers tools that I reach for all.the.time are my trim and score board and my crop-a-dile. My crop-a-dile is one of the most used/oldest tools in my stash. I’ve had this tool for years and I still reach for it almost daily. The trim and score board cuts perfectly each time. One of my favorite features of the trim and score board is that it folds in half for easy storage. 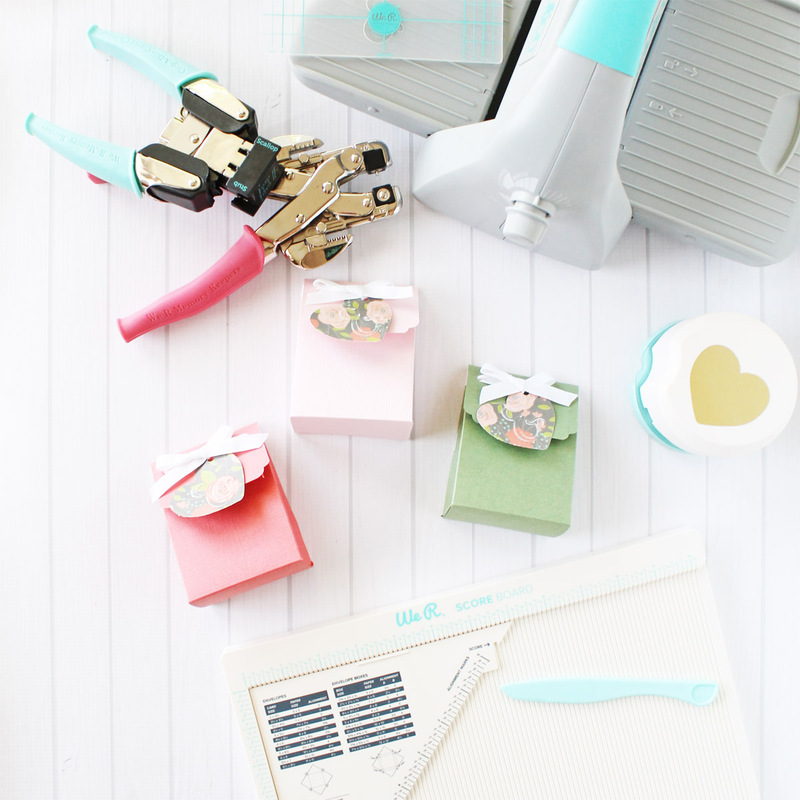 Space in my craft room is always at a premium so a compact tool is my favorite. 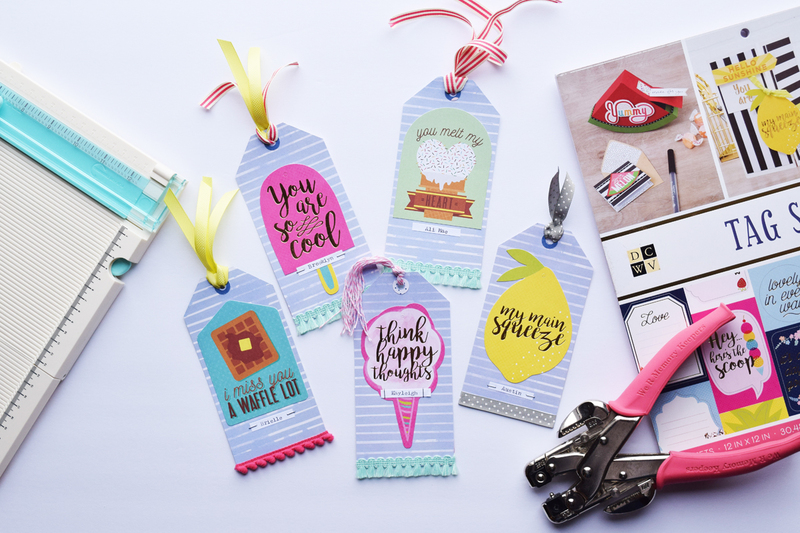 While we’re talking about favorite tools, I used another favorite tool to add the finishing touch to these bookmarks. I personalized each bookmark with my niece’s name. I simply typed their names on a piece of white cardstock and stapled the strip of white cardstock at the bottom of the bookmark. I love my typecast typewriter. If you have typecast typewriter you must get the cover for it. Let me tell you, it’s a life saver. We’re working on a major construction project at our house and there is dust everywhere. I’m SO glad that I have a dust cover on my typewriter. It’s so nice not to worry about my typewriter getting dirty. I’m so glad you stopped by the We R Memory Keepers blog today. 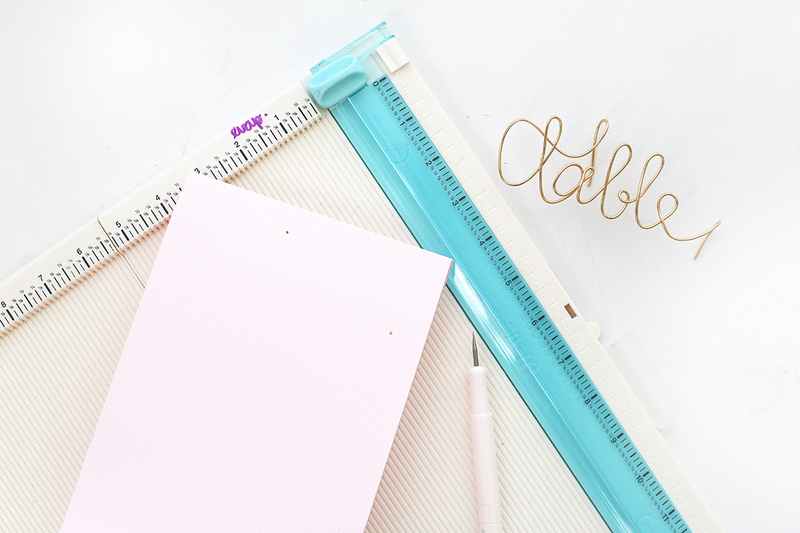 I hope you’re inspired to create a few bookmarks of your own. Thank you for stopping by, I’ll see you again soon! Hello everyone! Welcome to the We R blog! It’s Eva Pizarro here today sharing how to turn a common mason jar into a Grateful Jar with the help of your favorite We R tools. Gratitude is a beautiful virtue and what better way to practice it than with a Grateful Jar? You can use it with your family or to give to a friend during this holiday season. I decorated the jar and the lid and also hung a tag with a few papers for writing down things you’re grateful for. Hello, We R fans! Laura here today with some adorable turkey place cards for your Thanksgiving table. Every year we host Thanksgiving at our house for my parents, my husband’s mom and grandma, and usually some friends and other relatives. 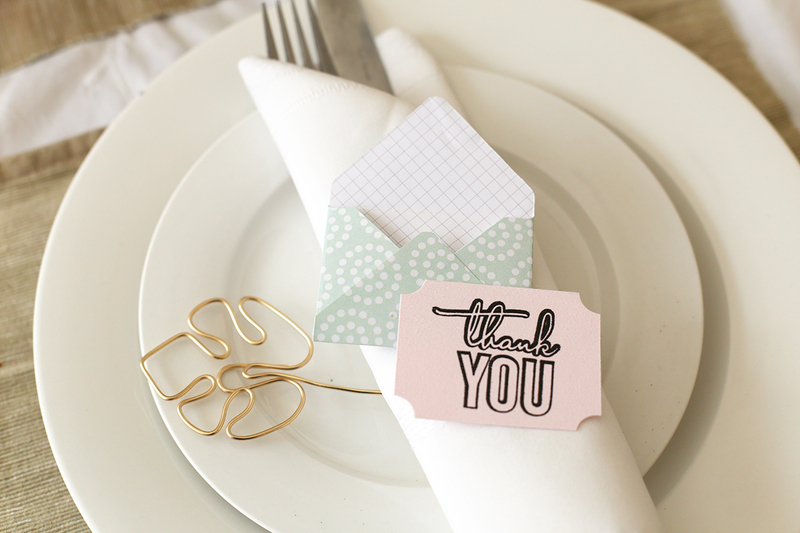 I think it can be really fun to add a little something extra to the table with Thanksgiving place cards for each person. 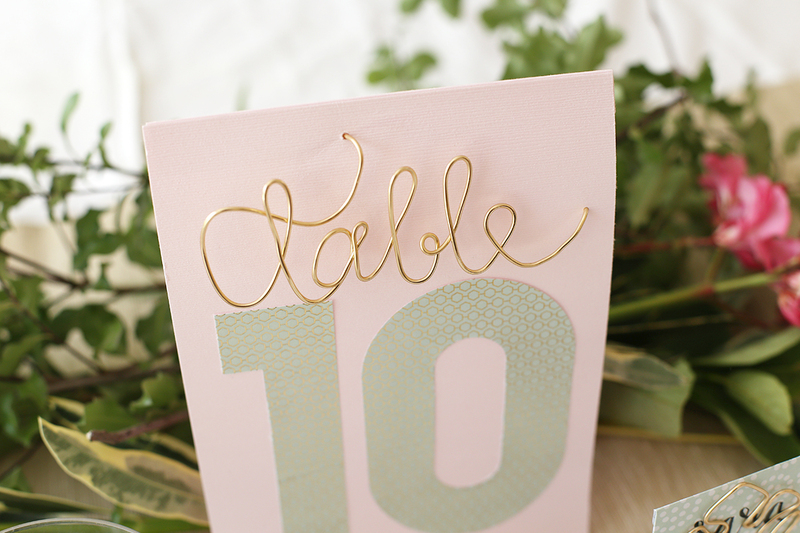 To make these place cards, start by trimming orange cardstock to four inches by six inches. Score and fold in half. 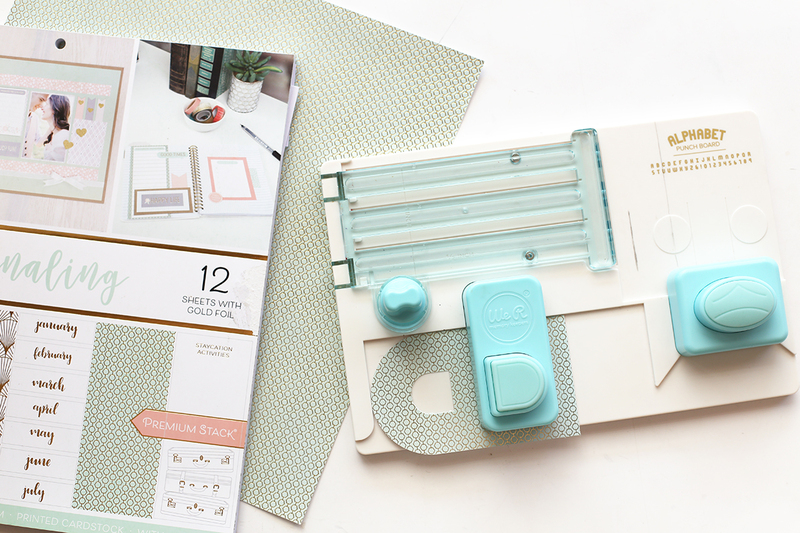 Then, run one half through the Evolution Advanced with the gemstone embossing folder. Use the circle template to cut out circles from the gold honeycomb pad to create the turkey’s belly. Adhere the turkey to the bottom of the folded orange card. 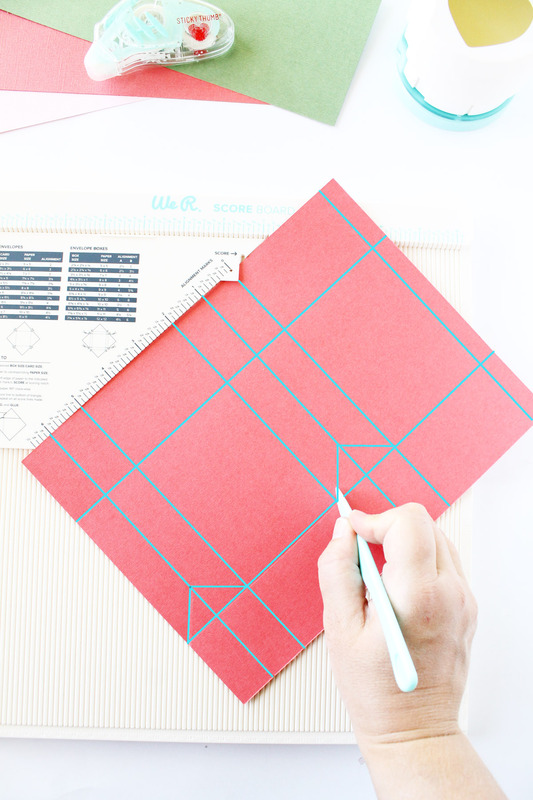 Use the clear cut circle punch to cut circles out of patterned fall themed paper. Then, use the circle punch to create the “feathers” for the turkey. You do this by placing part of the circle into the punch to create a leaf shape. The clear cut punch is great for this because you can see exactly what you are punching. You can get two feathers out of each circle you punch out. Adhere the feathers to the to top of the turkey’s belly using adhesive. 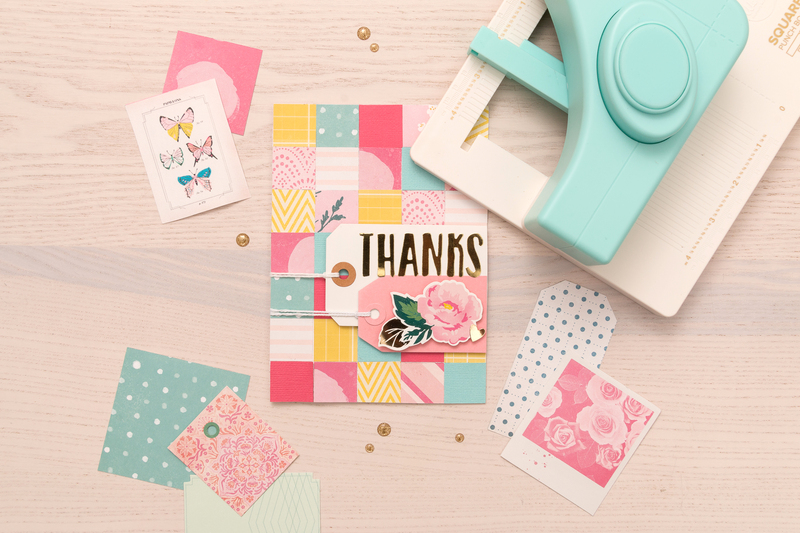 Use the clear cut tag punch to trim out little flag shapes from white cardstock. 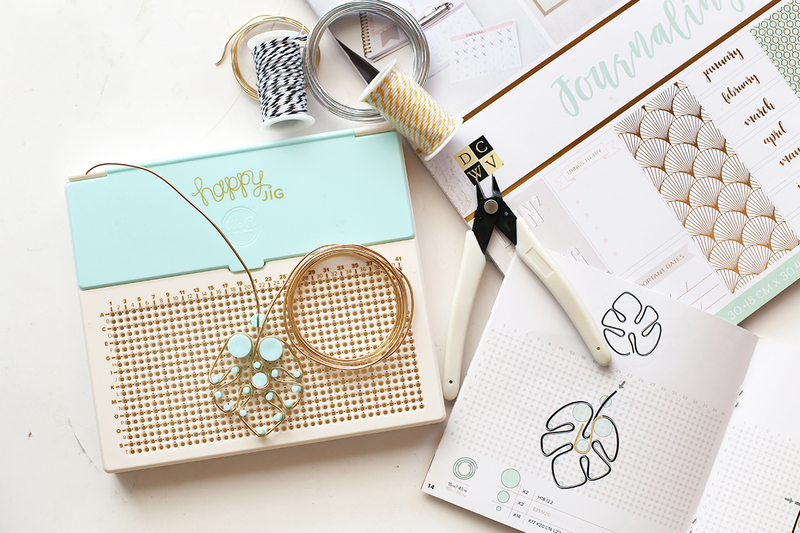 I love the clear cut punch because I can use scrap paper and see exactly what I am going to be trimming. 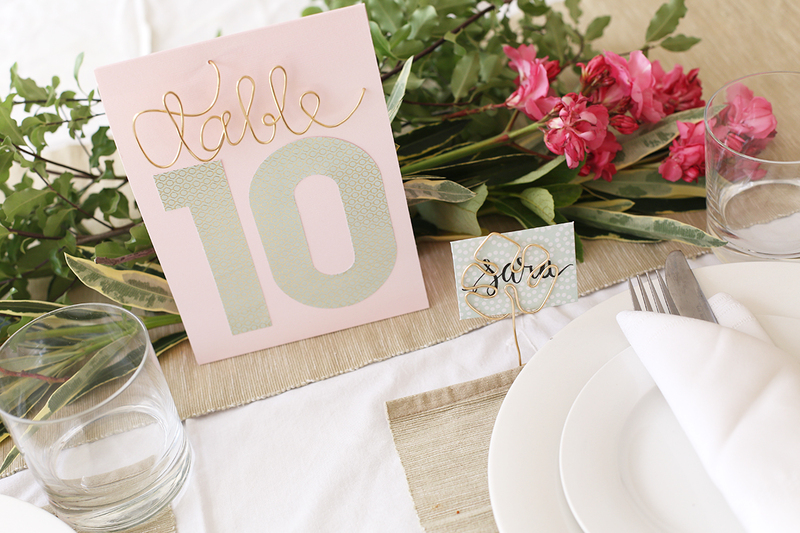 Write the name of the guest on your white flag and then adhere to the bottom right of the place card. These are adorable and would be a fun craft to make with the kids. Creative turkeys are one of my favorite ways to decorate for Thanksgiving. This little turkey would also look adorable on a Thanksgiving card or scrapbook layout as well.